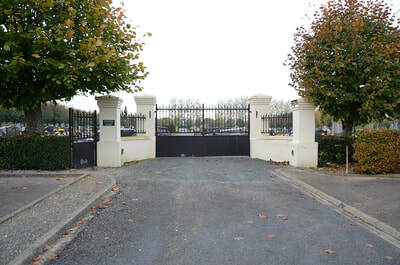 Hesdin is a small town in the Department of the Pas-de-Calais at the junction of the River Canche and Ternoise. 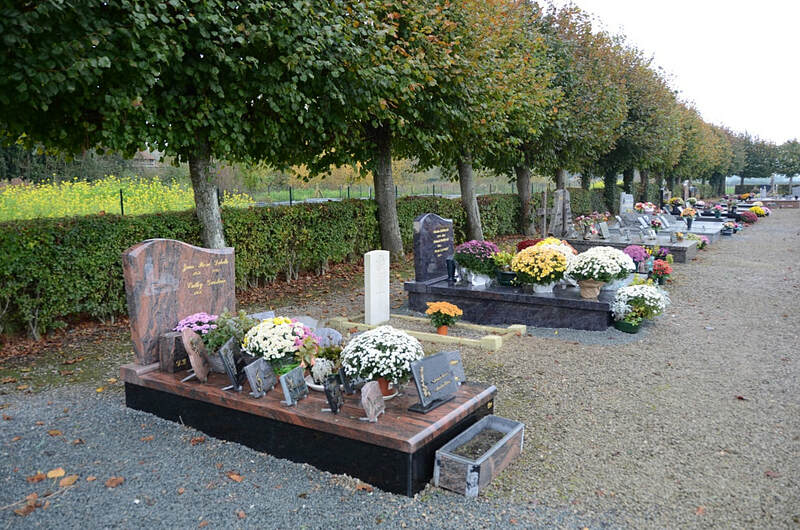 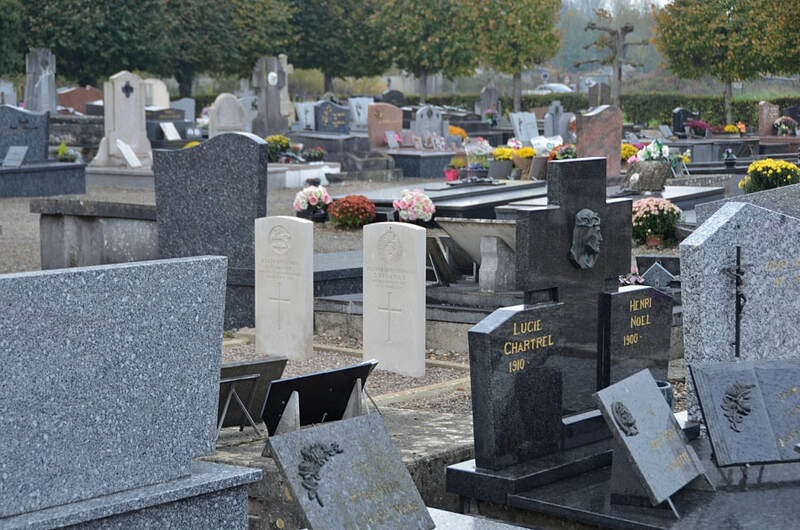 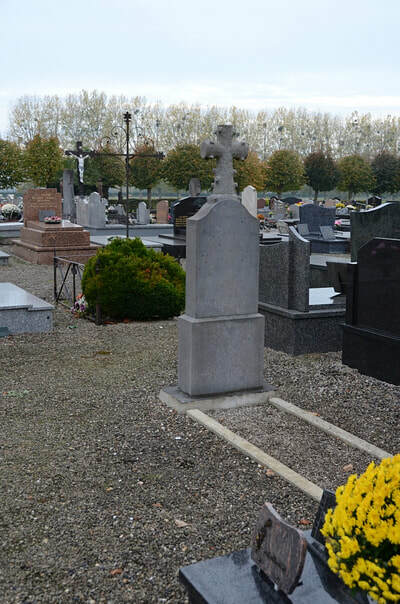 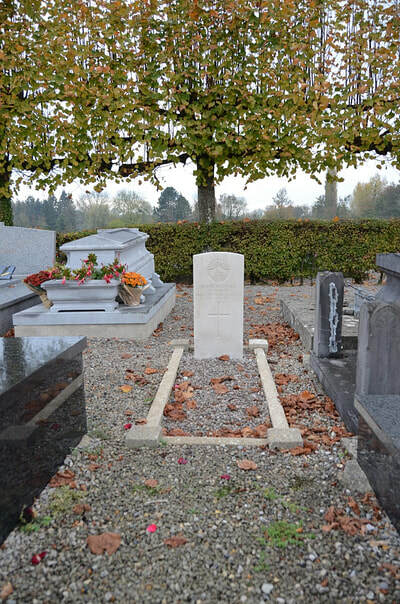 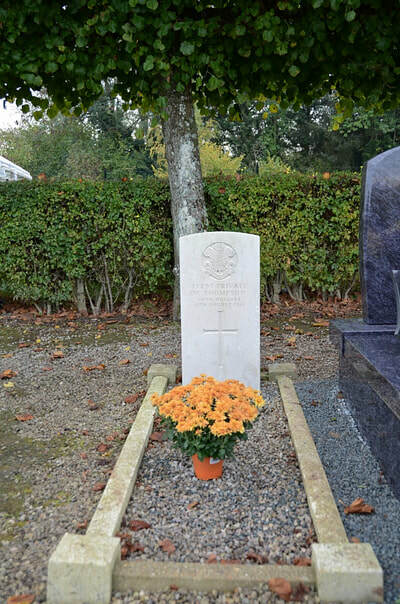 The graves of four soldiers from the United Kingdom and one from Canada who died in 1916 and 1918. 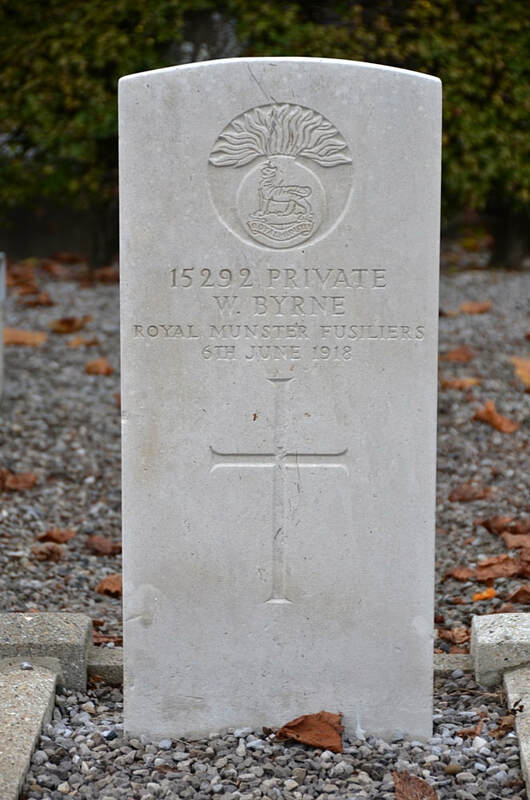 15292 Private W. Byrne, 1st Bn. 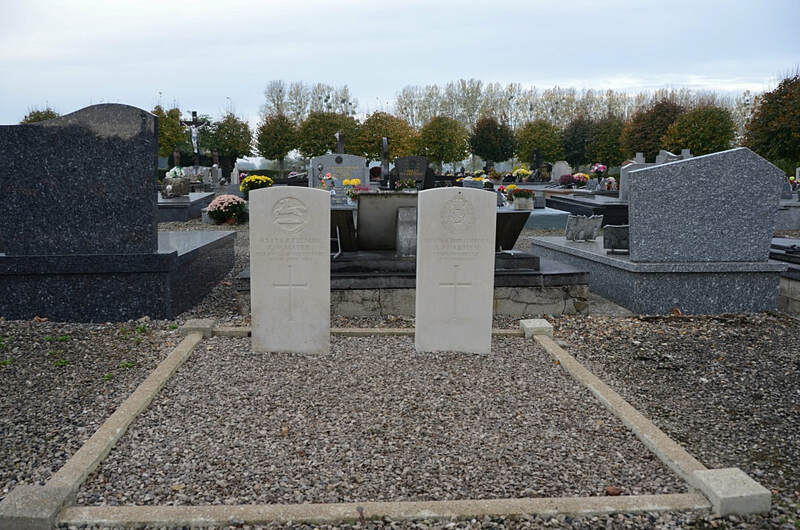 Royal Munster Fusiliers, died 6th June 1918. 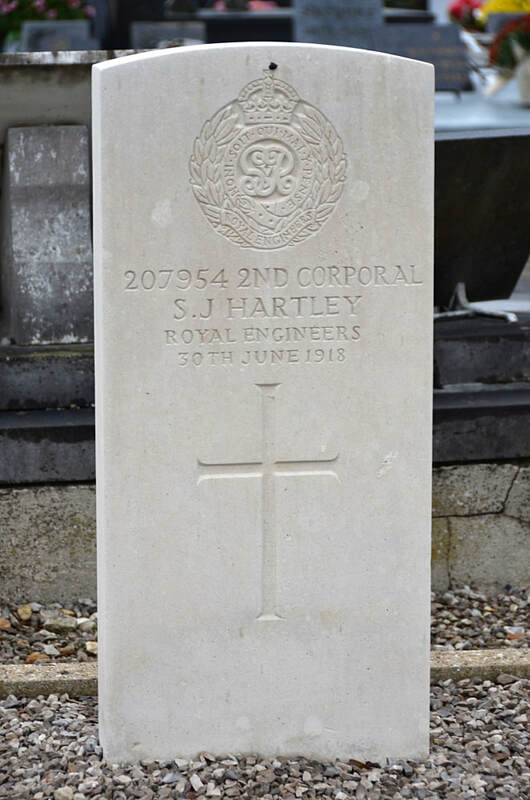 207954 2nd Corporal Samuel John Hartley, 248th Field Company, Royal Engineers, died 30th June 1918, aged 24. Son of Thomas and Mary Ann Hartley, of Colne, Lancs. 42473 Rifleman J. W. Mayer, 2nd/6th Bn. 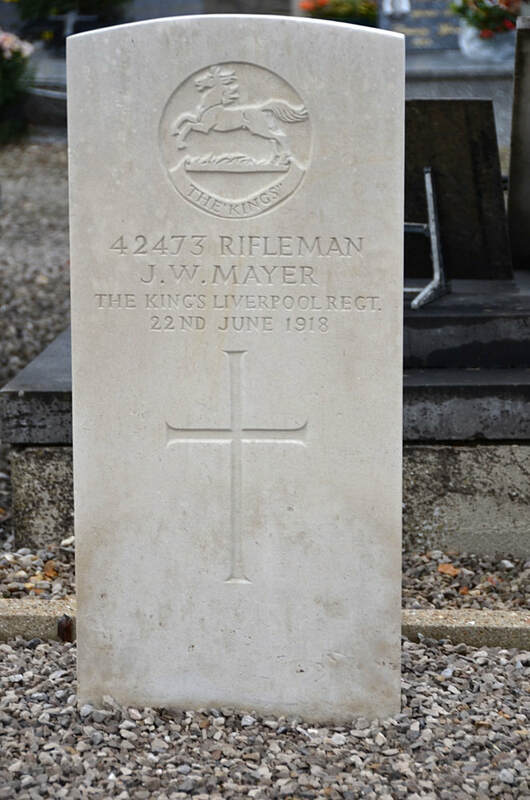 The King's (Liverpool Regiment), died 22nd June 1918. 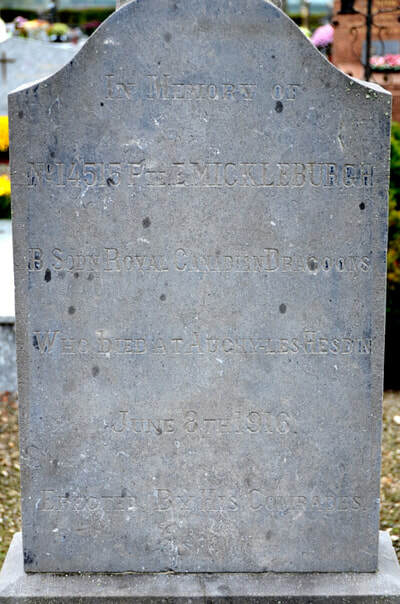 14515 Private E. Mickleburgh, Royal Canadian Dragoons, died 8th June 1916. 17297 Private Joseph William Thompson, 10th (Prince of Wales's Own Royal) Hussars, died 18th August 1916, aged 22. 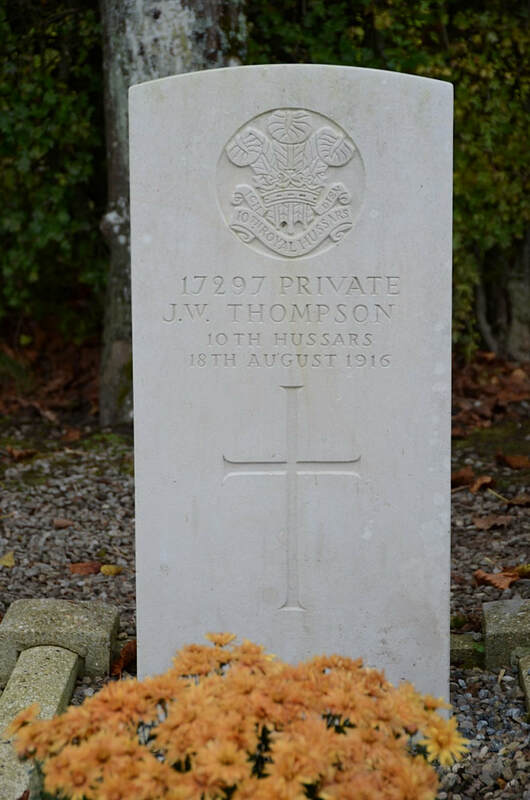 Son of Joseph and Ada Thompson, of Scale Cross, Commondale, York. Native of Castleton, York.